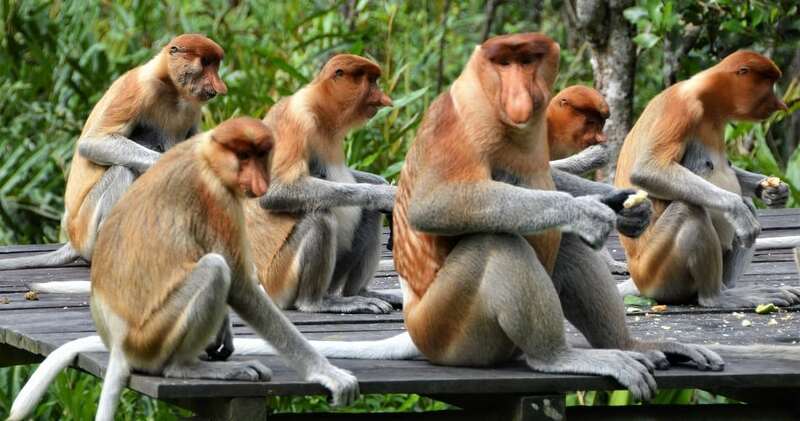 The Proboscis Monkey is a very social animal living in troops of up to 30 individuals and includes a dominant male, with up to 10 females and their young. Female Proboscis Monkeys tend to lead the searches for food and care for the young and the male defends his troop by making loud honking sounds and showing his teeth. They are excellent swimmers and are known to travel across very deep waters to find food or to escape danger.